Both stock. Both badass. One standout winner. It might not have been able to take down a fighter jet, but the Dodge Challenger Hellcat showed the new Corvette Z06 who’s the new American supercar king, after taking it down on the street no less than four times. 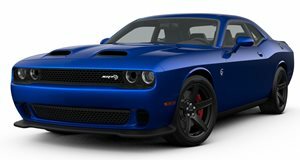 There’s no denying the brutal performance of the Hellcat, with its 6.2-liter supercharger V8 delivering 707 horsepower. Just ask the 34-year-old owner who had his new ride for no more than an hour before wrecking it. 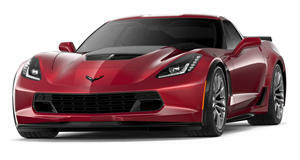 The Z07 – as Jay Leno recently discovered – is no slouch either, boasting a 6.2-liter LT4 V8 delivering 650 hp and 650 lb-ft of torque. On paper then, you’d think this would be a close contest. Well, you’d be wrong.